All kittens are born with their eyes closed. Most kittens begin to open their eyes between 7 and 10 days of age, though anything up to 14 days is within the normal range. The process usually occurs over the course of several days rather than all at once. Although their eyes are open by 2 weeks of age, kittens’ vision is not totally clear until about 4 weeks. If kittens have not begun to open their eyes by 14 days of age or there are signs of infection present such as pus or crusts around the eyes, consult a veterinarian. Never attempt to force the eyes open, as this can damage them. 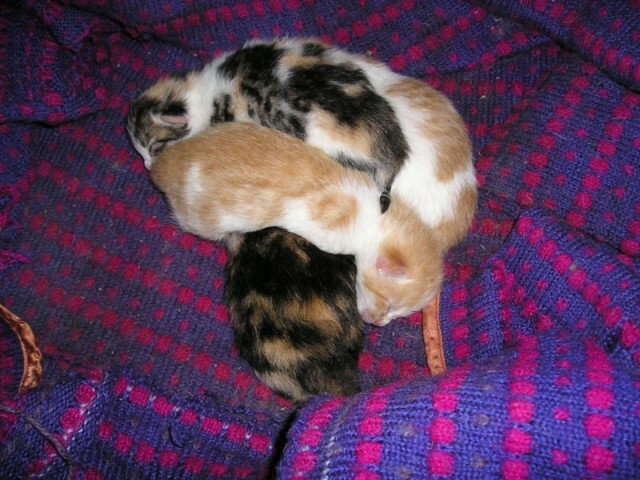 For answers to more kitten questions, see the Pregnant Cats and Kittens Page. For a full list of cat articles, see the main Cats page.